​​Melia DeVivo, Ph.D., is an Ungulate Research Scientist for the Washington Department of Fish and Wildlife working on research projects that are relevant to the management and conservation of Washington’s wild ungulates. Her research interests include deer and elk population dynamics, space-use and movement behavior, disease ecology and epidemiology, specifically the impacts of chronic wasting disease on free-ranging deer populations. 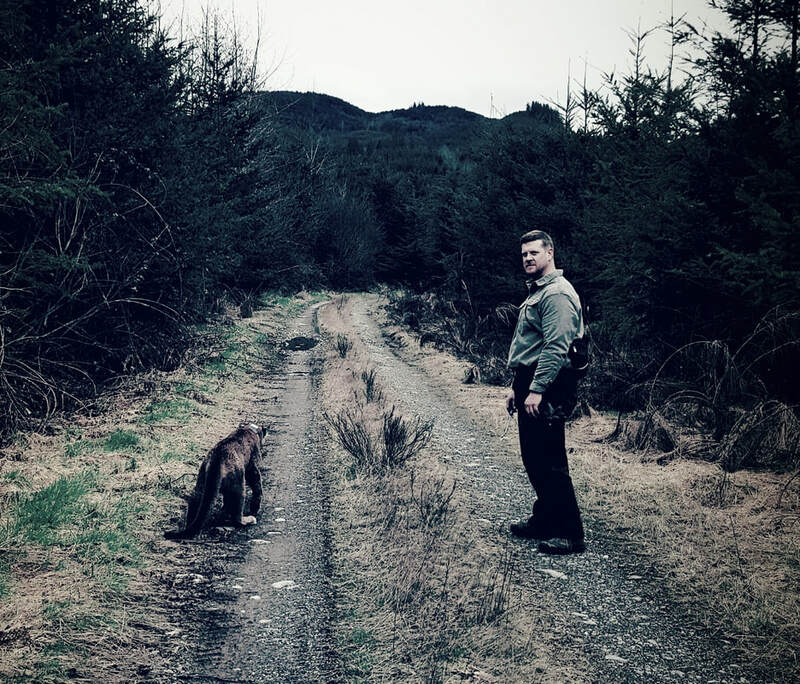 Aaron Wirsing, Ph.D., is a wildlife ecologist who studies the ways that large carnivores can change the lives of their prey beyond simply killing and eating them. Working along with his students in the Predator Ecology Lab ​in both terrestrial and aquatic systems, he examines the ways that top predators, such as grey wolves and tiger sharks, can shape their ecosystems through their presence alone, primarily by frightening prey into safety-conscious behavior. His suite of projects shows the benefits of what he calls an “ecology without borders” approach. By comparing the mechanisms that drive predator effects in both aquatic and terrestrial environments, he aims to show underlying similarities between two seemingly disparate systems. Beth Gardner, Ph.D., is an Associate Professor in the School of Environmental and Forest Sciences and leads the Quantitative Ecology Lab at the University of Washington. Beth's research interests include development of statistical models to assess populations and distributions for fish, wildlife, and other organisms. The research of the lab includes carrying out field studies, integrating data sources, and addressing broad ecological questions to help inform management and conservation of species. Lauren Satterfield is a Ph.D. candidate in the Wirsing Predator Ecology Lab at the University of Washington. She is investigating wolf-cougar interactions across anthropogenic landscapes in the Pacific Northwest. She received a B.A. in Mathematics from Mount Holyoke College and a M.S. studying wildlife ecology from the University of Georgia. Her master’s work focused on occupancy, temporal partitioning, and bait preferences of the carnivore community in eastern Botswana using camera traps. She has worked on cougar projects in Montana, Wyoming, and Nevada, in addition to studies on snow leopard and African leopard abroad. Prior to starting her PhD, she completed a Fulbright project in Cyprus surveying cave biodiversity and supporting conservation. She continues to participate in international cave explorations. ​Taylor Ganz is a Ph.D. student in the Prugh lab at the University of Washington. Her research focuses on the impact of wolves and other carnivores on mule deer, white-tailed deer and elk. Taylor is interested in wildlife ecology and predator-prey dynamics in the context of public land management in the American West. She holds a Masters in Environmental Science from Yale (learn more about that research here), a B.A. in physics from Lewis and Clark College and a B.S. in Mechanical Engineering from the University of Southern California. She is a Senior Field Instructor at NOLS and an avid climber, skier and fly-fisher. Sarah Bassing is a Ph.D. student in the Quantitative Ecology Lab at the University of Washington. Her research focuses on the spatial and temporal patterns of predator-prey and community dynamics. Sarah is interested in relationships between behavior, population ecology, and community dynamics, as well as applying quantitative methods to better understand the ecological patterns these relationships produce to help inform wildlife management. She earned her B.Sc. and M.Sc. in Wildlife Biology from the University of Montana, Missoula MT, where she studied the effects of hunting and trapping on gray wolves in the Rocky Mountains. She is an avid coffee drinker and hiker. ​Trent Roussin is a M.S. Student in the Quantitative Ecology Lab at the University of Washington and a wildlife biologist for the Washington Department of Fish and Wildlife. 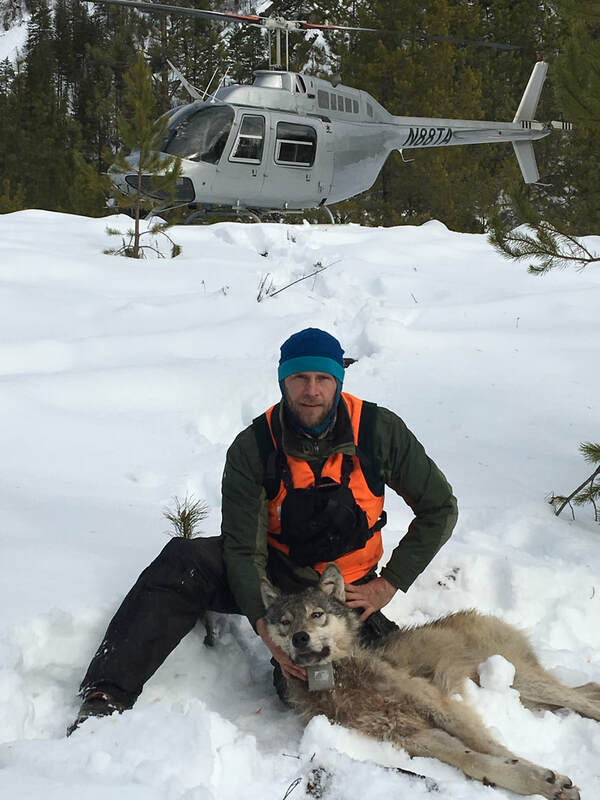 His research focuses on developing non-invasive wolf population monitoring techniques, in addition to looking at factors influencing wolf recolonization in Washington. Trent is particularly interested in empowering local communities and stakeholders to participate in wildlife management and research that is meaningful to them. He earned a B.Sc. in Wildlife Biology from the University of Montana in 2008 and has worked with wolves, bears, elk, deer, tigers, and seals on a variety of projects since then. He spends as much of his free time as possible hiking, hunting, climbing, skiing, and otherwise enjoying the mountains and public lands across the west.